On most days you can find my almost 4 year old dancing around the house, holding an iPhone and blaring our music. He loves making his moves, and its really just hilarious to watch. Music has been an important part of my life and my kids love listening to the radio in the car and sing along. They would rather ‘my music’ vs the traditional ‘kids songs’. Which is just fine by me!! When we heard that Netflix Canada was premiering an original series titled #BeatBugs, we were super excited. This series for kids was inspired by music made famous by the Beatles. Each episode features some of the most well known Beatles songs and are all incorporated into stories filled with melody, hope and the wonders of friendship. Cover artists like P!nk, Aloe Blacc, Eddie Vedder and Sia are just a few of the all star artists bringing the music to the screen. My kids have become obsessed with the show. It premiered on August 3rd and by yesterday they were already through the first season. Being a Beatles fan myself, I’ve grown to love the show as well and you can find me singing along no matter what! 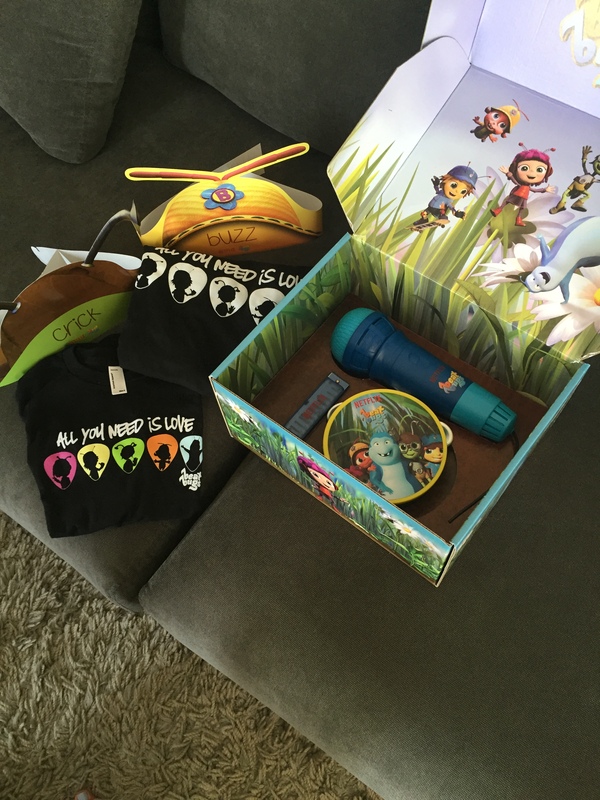 Thanks to Netflix, we received an amazing Beat Bugs package that the kids adore! T hasn’t taken his t-shirt off since he opened the box. He not only slept in it, but insisted on wearing it to preschool today too! Since T was so excited to get dressed up, hubs decided to play along too. Here’s a little video we put together with the help of the cover song “All You Need is Love”. And when you are done watching, scroll down and see how you can win with your own video! The winner will be randomly selected on August 26th. I can’t wait to watch your videos! !